There seem to be very few musicians that can truly be said to defy genre boundaries, and the ones that do are often, for better or for worse, labeled as “session musicians”, a term that is, sadly, all too often taken to mean someone lacking in musical personality or vision. Oren Yaacoby is perhaps the very definition of someone who proves how misguided this attitude is, and his debut album, Turning Points, is a case in point. A quick online search reveals that Oren has an incredibly rich and versatile background. When first perusing the internet to hear more of this incredible artist's work, I had to double check that all the mentions of “Oren Yaacoby” where in fact talking of the same person. On the one had, his work has included playing lead guitar for the by-now-legendary Missing in Action, an Israeli Metal-Core band that came into prominence with their first performance at the 2010 Wacken Open Air Festival, alongside Slayer and Iron Maiden. Yet he has also played in a huge variety of other settings, including The Paintbrush Orchestra (a free jazz influenced Soundpainting ensemble based out of Boston), and recording for several major T.V series and movies (most notably CBS's The Crazy Ones and Fox's Enlisted), as well as a myriad of other jazz ensembles. 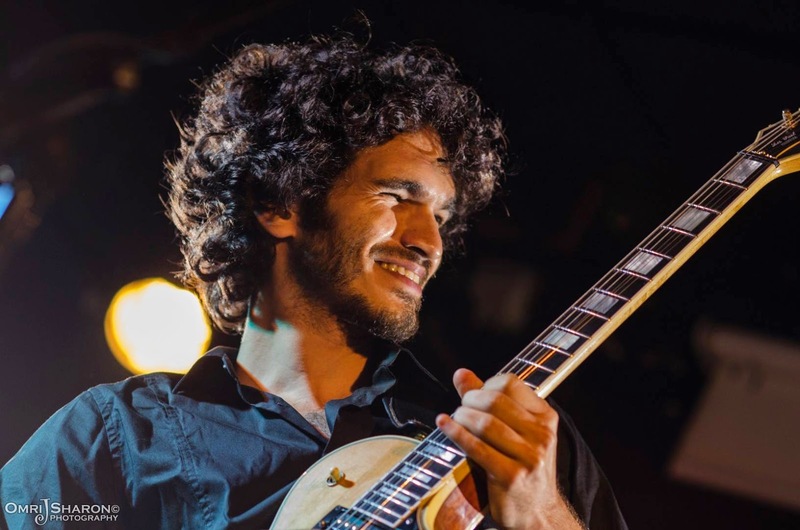 Yet perhaps whats most amazing about Oren's playing in all of these different settings is that he does what so few manage to do – to play in manner that is faithful and true to a genre, while always maintaining that honest personal tinge that makes a performance truly great. Nothing I have heard from his vast catalog has in any shape of form felt disingenuous or forced, yet it has all managed to sound like the same person is playing with the same level of care and craftsmanship. That is truly no small feat and the mark of a true artist. 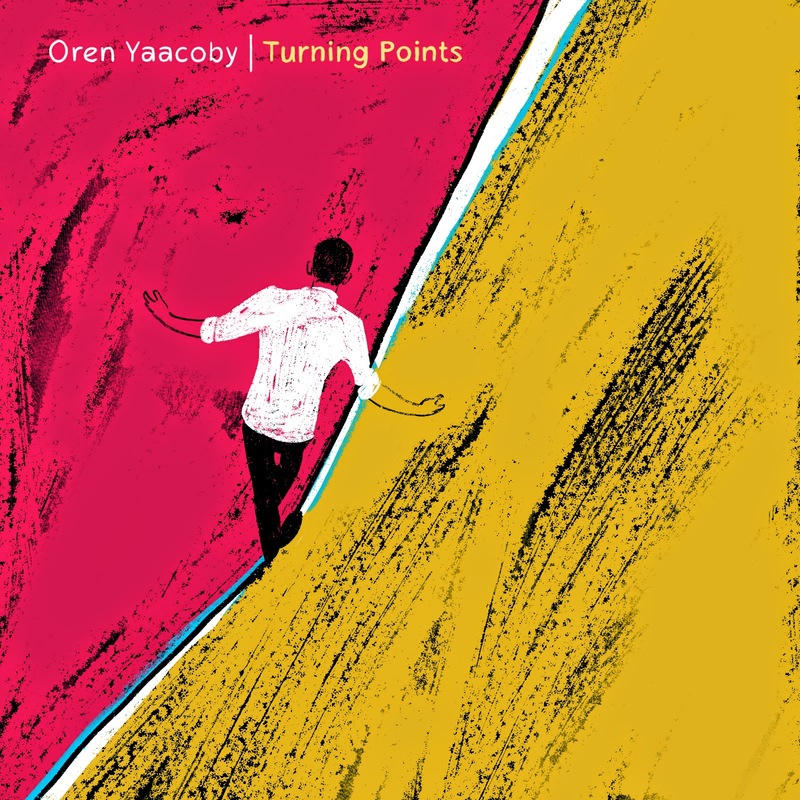 It should come as no surprise, then, that Oren Yaacoby's debut album, Turning Points, hardly feels like a debut album at all. Rather, what we are hearing here is a fully formed, mature artist at his finest. The five tracks all feel like the work of a veteran songwriter, and every aspect of this album, be it the lyrics, the incredible showmanship of guitar technicality (more on that later), or the refined production, hints at an magnum opus that will hold up after many repeated listens. The opening track, “The Alchemist” is a beautiful and personal ode to the craft of music itself, and sets a reverent mood for the entire album, which remains strong even through moments of intense energy and complex guitar lines, such as the almost progressive “Truth on the Outside”, a teeth-grinding, keeps-you-at-the-edge-of-your-seat tour de force. Also worthy of note is Oren's vocal work, which is strong and poignant through-out. mentioning the incredible level of technical guitar mastery. And while that is usually hardly something worth mentioning in an album review, in this case, it feels like a beautiful and integral part of the music itself. Rather than feeling like a stale display of technic, as can often happen when one reaches this level of familiarity with an instrument, one gets the feeling that we are hearing an artist push himself to the limit of what he can do, trying to find something new and beautiful. The incredibly fast, complex and clean guitar work on the album is absolutely flooring, but somehow manages to always remain exciting and musically relevant. This is one album that is not to be missed, certainly one of the freshest and most exciting releases to come out this year. I know I will be talking about it to pretty much everyone I know, and I wouldn't be surprised if very soon you will be too.